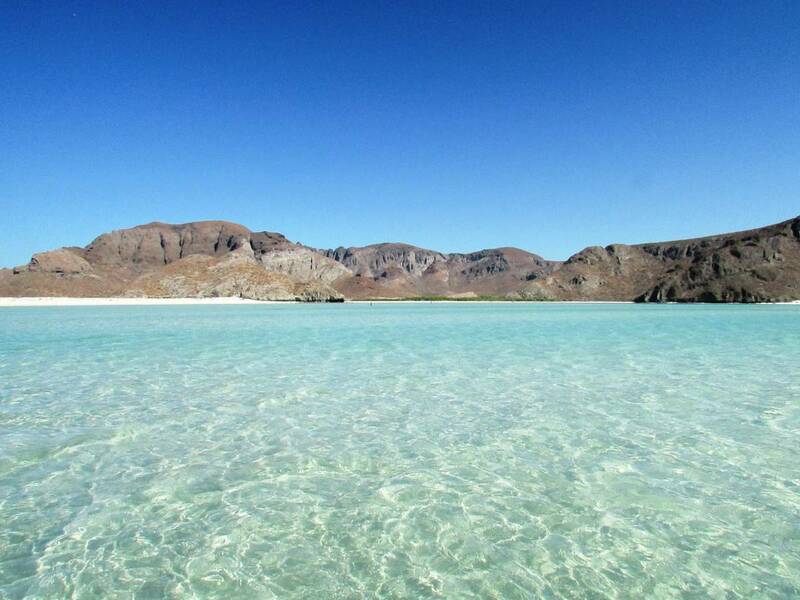 The Sea of Cortez beaches are located between the Baja California Peninsula and Mexico’s mainland. The region’s clear, quiet water, its lagoons and wetlands, ecological and marine reserves and desert landscapes all framed by the Sea of Cortez, are only a few of the marvelous features of this distant paradise. Baja California Sur has been transformed into a highly attractive tourist destination for both Mexican and international travelers. Its natural beauty and untouched scenery set it apart from other destinations along the Mexican Riviera. Here I will list the best beaches stretching from San Jose del Cabo to San Felipe. Cabo San Lucas is probably the biggest destination on the Baja. For information on Cabo beaches, click here. 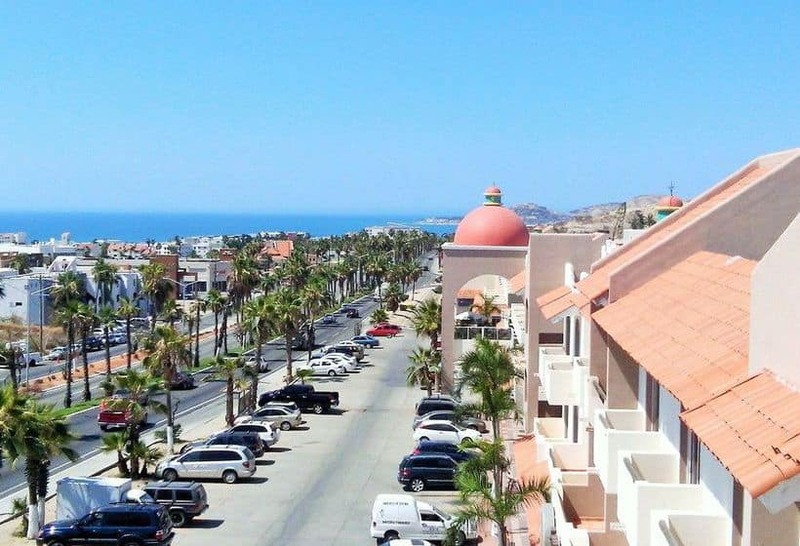 In this post, the beaches of the Sea of Cortez to include La Paz Area Beaches, Loreto Area Beaches, Rosarito Area Beaches, Mulege Area Beaches, Bahia de los Angeles Area Beaches, San Felipe Area Beaches, Todo Santos Area Beaches, and San Jose del Cabo. 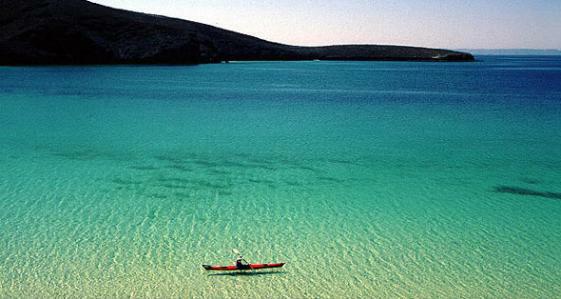 La Paz is not itself a beach city, but within a 10- to 45-minute drive from the center you’ll find some of the loveliest beaches in Baja, reminiscent of the Caribbean with clear, calm turquoise waters. 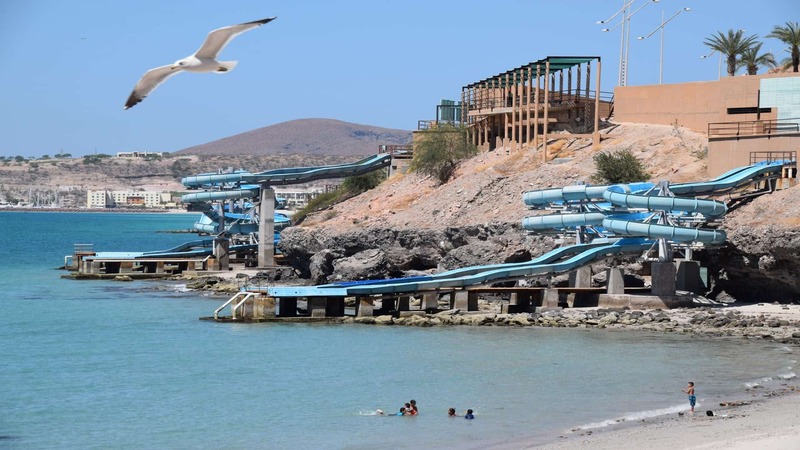 The white-sand beaches that line the malecón are the most convenient in town, but locals don’t generally swim there — La Paz is a commercial port and the water in the bay is not particularly clean. The best beach nearby is immediately north of town at La Concha Beach Resort; nonguests may use the hotel restaurant/bar and rent equipment for snorkeling, diving, skiing, and sailing. It’s 10km (6 1/4 miles) north of town on the Pichilingue Highway, at Km 5.5. The other beaches are farther north of town, but midweek you may have these far-distant beaches to yourself. At least 10 public buses depart from the malecón between 8am and 5:30pm for beaches to the north. From the bus station at the corner of Independencia, buses stop at the small Caimancito, Coromuel, Tesoro, and Pichilingue beaches. Pichilingue, Coromuel, and Tesoro beaches have palapa-shaded bars or restaurants, and umbrellas and beach chairs for rent. Visit our La Paz Vacation Guide here, and plan your beach vacation to La Paz and the area beaches. 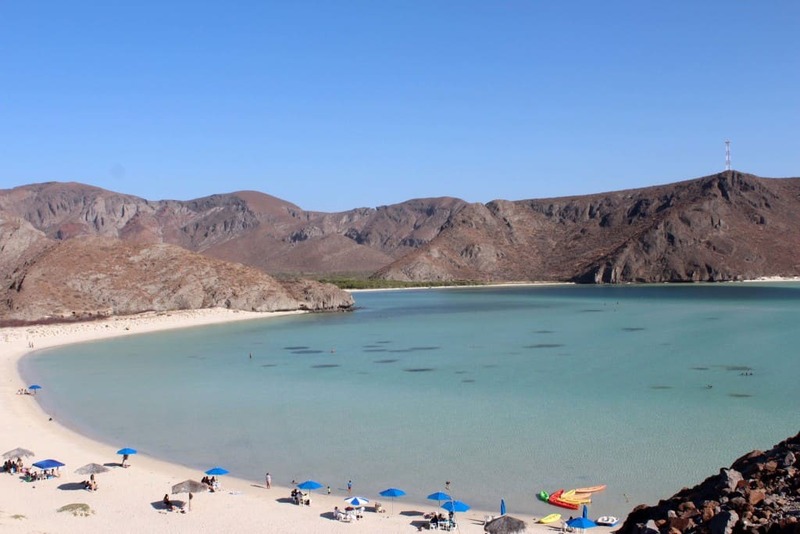 Just 10 minutes from downtown La Paz, this beach will give you just what you need. Its name derives from the surrounding rock formations, which resemble an alligator. This beach is characterized by the arrival of pelicans, gulls and coastal fish, plus gentle waves and the low height of the water make this the ideal place for sports like surfing or paddle kayaking. Visit our La Paz Vacation Guide here, and plan your beach vacation to La Paz and the area beaches. 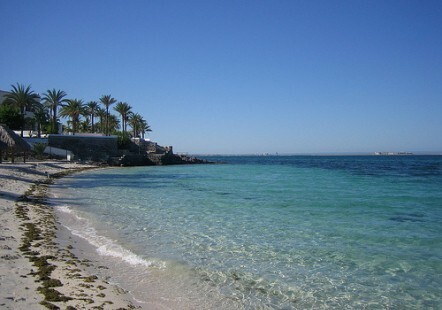 This is the closest beach to La Paz Centro, located virtually at the north end of the malecón. It is a very pleasant beach and has parking, restrooms, a restaurant and a pier. Being so close to town means it can get a bit crowded, especially on weekends. Great for kids and those who want to stick close to town. If you are looking to stay close to town and enjoy a nice day in the sun this is the beach to go to. Security guards are at the beach as well as local vendors if you need a bite to eat or small items you may need. If you don’t have transportation don’t worry there is a bus every day of the week through Eco Baja Tours that runs a bus from the La Paz Malecon Tourist Bus Terminal to all of the beaches. 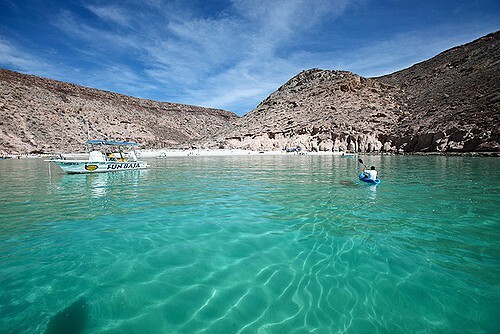 Visit our La Paz Vacation Guide here, and plan your beach vacation to La Paz and the area beaches. Continuing along the scenic road, you will find this oasis within a bay surrounded by mountains which acquired its name after 1965, when a pirate treasure was found buried. Legend has it, the beach got its name because a pirate buried his treasure here. And much later it was actually found: Baja’s largest pearl ever discovered. This beach is great for families – shallow waters, food, and palapa umbrellas.A marvelous secluded beach with restaurants and bars and shallow waves, so even children can swim here. The calm and shallow sea that is part of this beach makes it the ideal place to bring kids. You can also find a quiet restaurant with palapas to enjoy the beautiful view around you. This is a tranquil beach with beautiful sunsets. Visit our La Paz Vacation Guide here, and plan your beach vacation to La Paz and the area beaches. An enchanting beach filled with white sands and washed by the clean ocean. One of La Paz’s most beautiful bathing spots. It is located just 20 kms from the city of La Paz and can be reached by bus that leaves every 20 minutes from the station which is downtown or in a taxi, the price is not much and it can pick you up if you ask for this service. The Pichilingue beach has white sand and shallow waters and two or three small seafood restaurants and they also make small trips by boat. 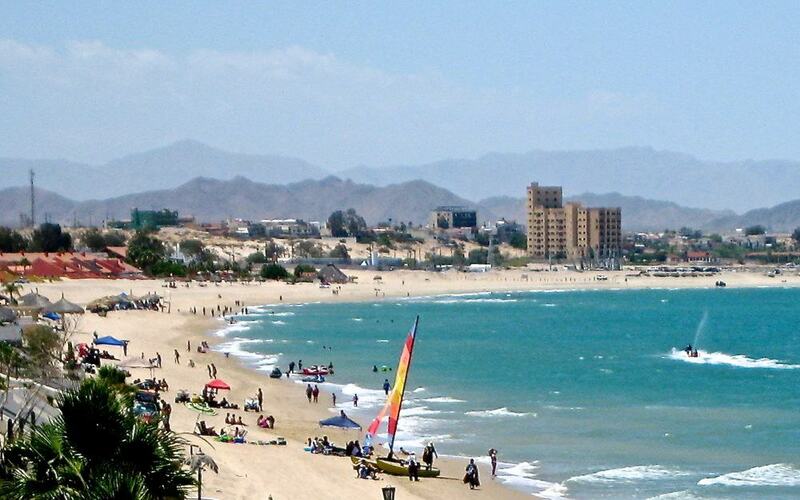 Visit our La Paz Vacation Guide here, and plan your beach vacation to La Paz and the area beaches. A true paradise on Earth. Balandra, a beautiful cove surrounded by green mangroves, is known for its crystal clear waters, soft sand and incredible scenery. This is where you can find the famous rock formation “The Fungus” and take a picture in one of the most emblematic places of the capital. It is serene, quiet, peaceful and a favorite among locals. If going after a rain, watch for tiny jellyfish that sting. You’ll also need to do the “stingray shuffle” in the shallow waters here to avoid stepping on them. There are only mobile vendors here, so it’s a good idea to pack a lunch or cooler if you’re staying for the day. Visit our La Paz Vacation Guide here, and plan your beach vacation to La Paz and the area beaches. 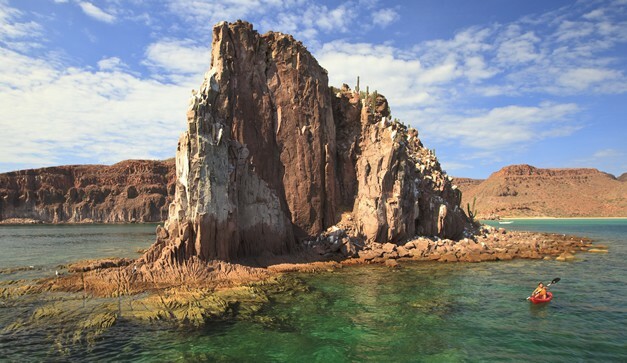 It is located on the tip of the bay and from there you will be able to see The Espiritu Santo Island. 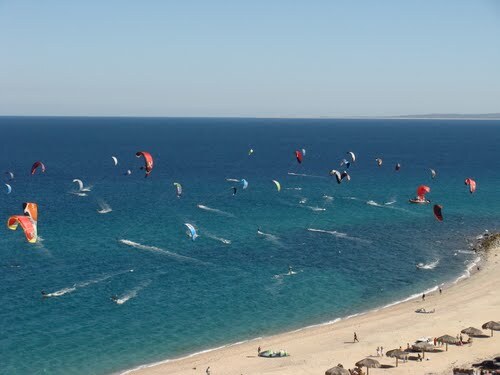 It is one of the most developed beaches for tourism and you can find all kinds of water sports. In Spanish, tecolote means “owl.” Its namesake originates from an owl-shaped rock that overlooks the beach. This is a party beach during high season (Dec – Feb), the opposite of Balandra. Restaurants, bars, waverunners, paddleboats, etc. are available for rent. Visit our La Paz Vacation Guide here, and plan your beach vacation to La Paz and the area beaches. It is one the favorite tourist destinations in La Paz, ideal for the adventurous. On the beaches you can practice all types of sports, including surfing and diving. It is also an area known for its outstanding offer to enjoy sport fishing, as marine life is abundant and varied. Visit our La Paz Vacation Guide here, and plan your beach vacation to La Paz and the area beaches. Head out for a day of sun and surf with Baja Fun. The island takes about an hour to reach via inboard boat. It’s a magical day snorkeling with sea lions, lunching on a private beach and possibly swimming with a whale shark if you head there during the winter to spring months. Visit our La Paz Vacation Guide here, and plan your beach vacation to La Paz and the area beaches. 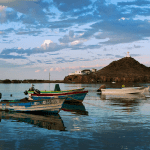 The town of Loreto is one of the few tourist destinations on the Baja Peninsula of Mexico that has managed to retain the laid-back ambiance of a sleepy fishing village. 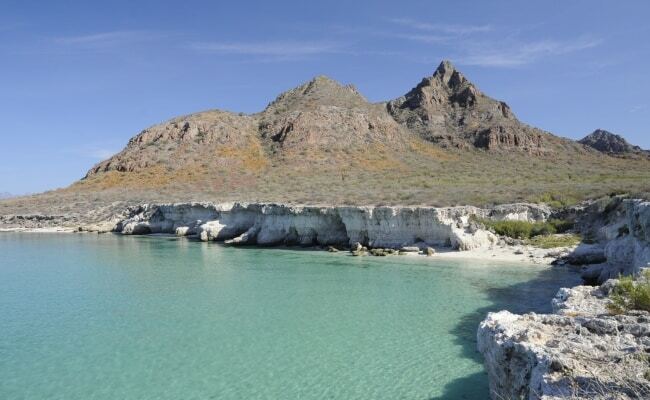 Locals and visitors can relax on pristine stretches of white sand or explore hidden coves in the Sea of Cortez. 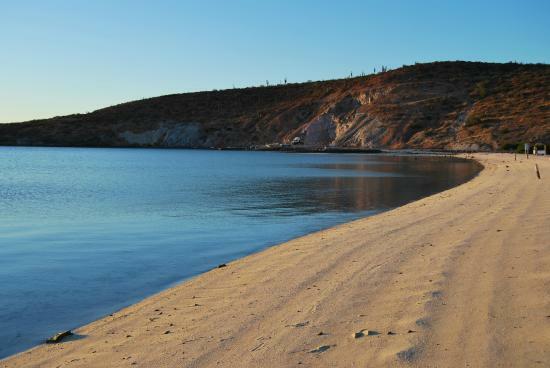 For more secluded, uncrowded beaches, there are several options away from the main village area or on offshore islands. Visit our Loreto vacation guide,and plan your beach vacation to Loreto and the area beaches. In the center of town, a long walking esplanade runs across the waterfront, with a frequented beach in front and on either side. This Calle de la Playa is popular with locals, who frequent nearby coffee shops, cafes and bars, or gather to watch fishermen bringing in their daily catch. Families hit the sand with beach toys and games, volleyballs fly and sand castles emerge like tiny fortresses guarding a well-loved lifestyle in this small community. Swimming, snorkeling, beachcombing, kayaking and sailing are all popular activities in this area. Visit our Loreto vacation guide,and plan your beach vacation to Loreto and the area beaches. Beachcombers willing to drive just 30 miles to the south of Loreto’s downtown core will find a treasure trove of shells and rocks on the beach of Ensanada Blanca. It faces the Candaleros and is a favorite for romantic sunset strolls. Snorkelers are also rewarded with a multitude of vibrantly colored fish that are drawn to intricate coral reef and oyster beds. 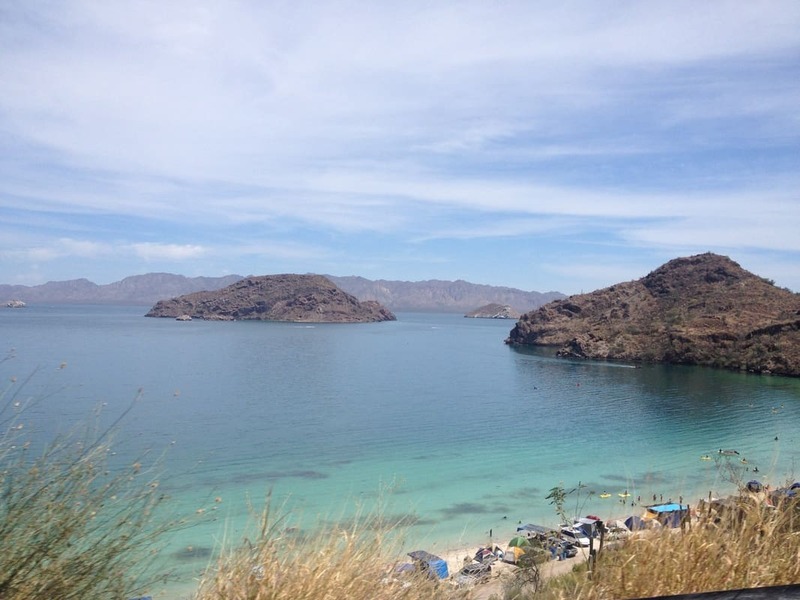 Visit our Loreto vacation guide,and plan your beach vacation to Loreto and the area beaches. Nopolo Beach is about 5 miles south of the main village and complete with condos, luxury homes and high-end shopping centers. There are several small beaches with wide expanses of soft, white sand and few stalls or vendors crowding the pathways. The views across the sea are of El Carmen Island, with sailboats bobbing on clear blue-green waters. Visit our Loreto vacation guide,and plan your beach vacation to Loreto and the area beaches. Several offshore islands can be easily reached from the main sections of Loreto. Most of the Sea of Cortez in this area is protected by the Bay of Loreto National Park Reserve. This ecologically guarded reserve includes the five islands of Coronado, Carmen, Danzante, Monserrate and Catalan, all with explorable beaches and coves. They offer excellent opportunities to view sea lions, whales, dolphins and exotic birds from the beaches or offshore excursions. Local cruise operators offer packages that visit one or all of the islands in the reserve. Visit our Loreto vacation guide,and plan your beach vacation to Loreto and the area beaches. 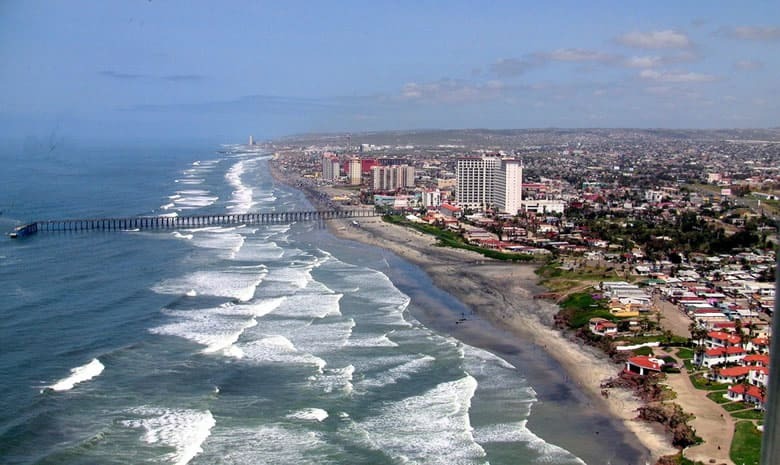 Rosarito Beach is easily accessed via a toll road that runs along the Pacific Ocean. The drive around Tijuana can be daunting. Follow the signs on the freeway, but be careful the signs usually appear only at the turnoffs. Don’t expect any notices before the turnoffs. From the north end (where the smokestacks are) all the way south through town, the beaches are wide and accessible. Locals love to camp on these beaches on holidays, and Baja travelers enjoy all of the traditional sun and surf beach activities, especially in summer. Although all of the beaches are fun, visitors will find that the beaches on the south end of town, near the main hotels and condos, tend to provide a greater selection of tourist facilities. There’s lots to do at Rosarito Beach including biking, hiking, frisbee, horseback riding, kayaking, snorkeling, diving, and surfing. 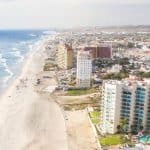 Visit our Rosarito vacation guide, and plan your beach vacation to Rosarito and the area beaches. 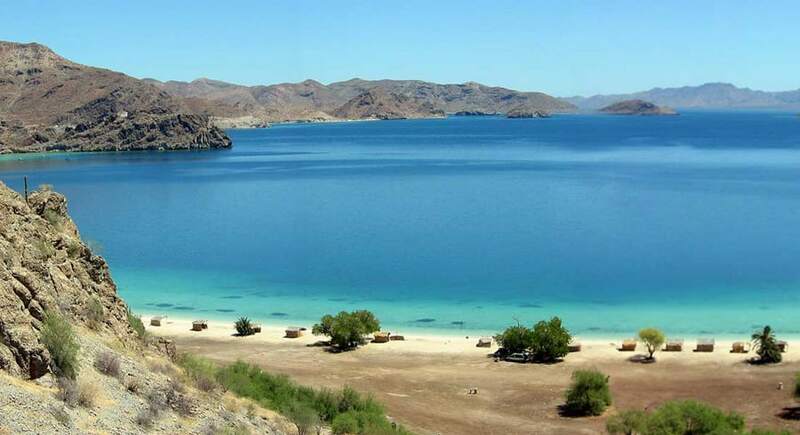 Mulege has long been a favorite destination for tourists who seek rest and nature, from sport fishermen to history buffs and ecologists, to admirers of the striking Bay of Conception. 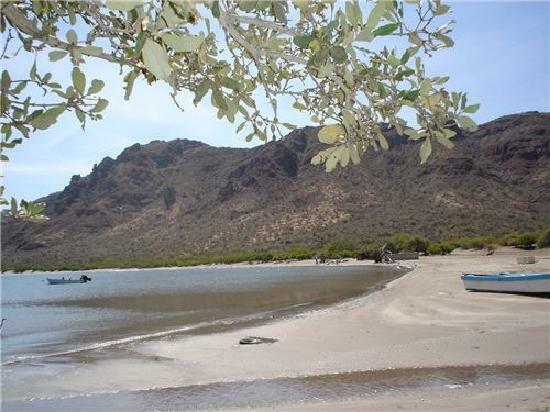 Located a few short kilometers from Mulege, the Bay boasts fantastic landscapes and numerous soft, white sand beaches. 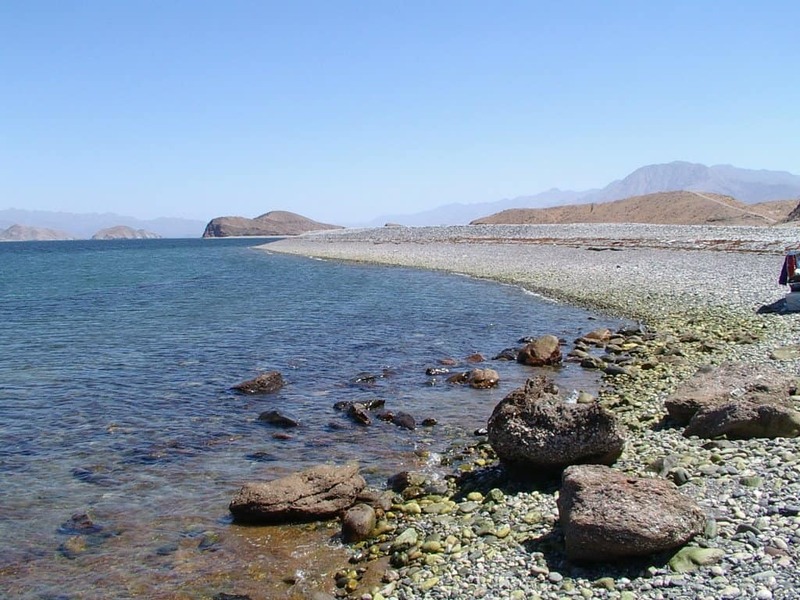 Visit our Mulege vacation guide, and plan your beach vacation to Mulege and the area beaches. 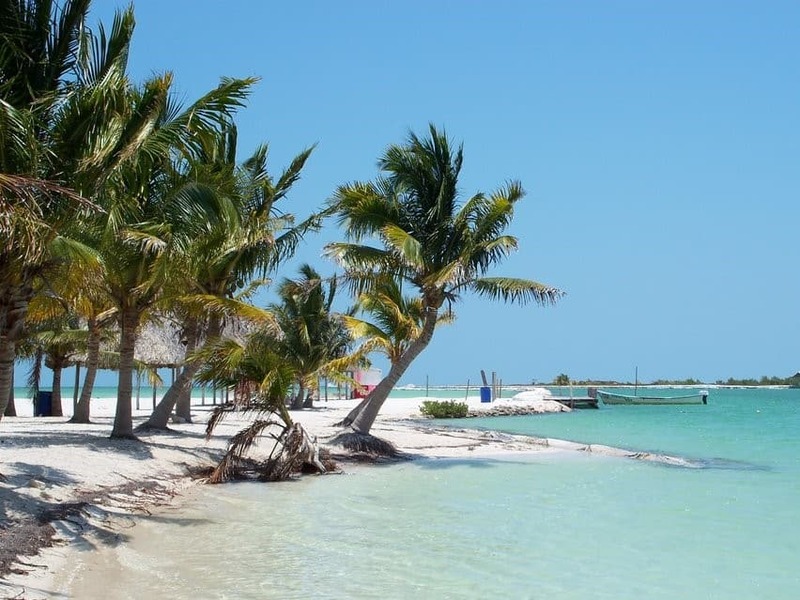 Bahia Conception is a 35km long peninsula that offers desert beach and crystal blue water. The views from Mexico 1 are really stunning. Beaches are several and not well directed. Coming from Loreto you will find Playa Armenta, Playa El Requeson, Playa la Perla, Playa Buonaventura, Playa el Coyote, Playa el Burro, Playa Escondida, Playa Santispac and Punta Arena. The best are Playa El Requeson, Playa el Burro and Playa Escondida. It makes for a wonderful drive with beautiful views. The sand is soft like flour and the water is crystal clear and good for snorkeling and swimming (although it was a little chilly when we were there). 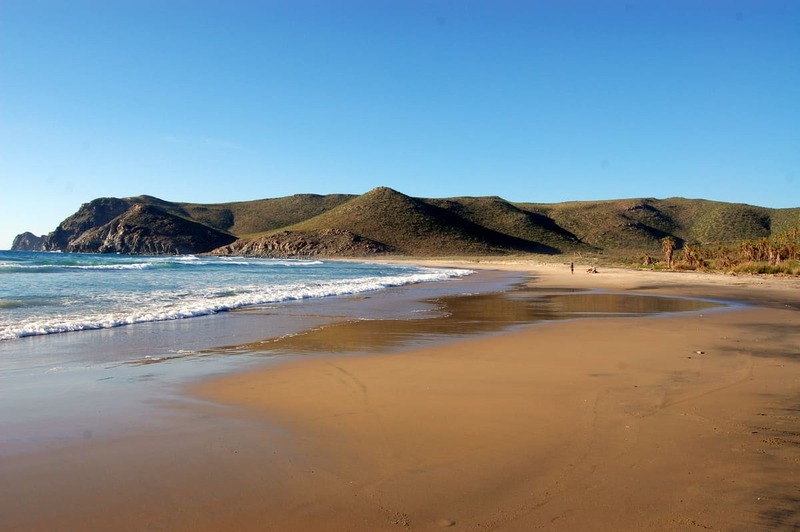 These were definitely the most beautiful beaches that I saw while touring southern Baja. 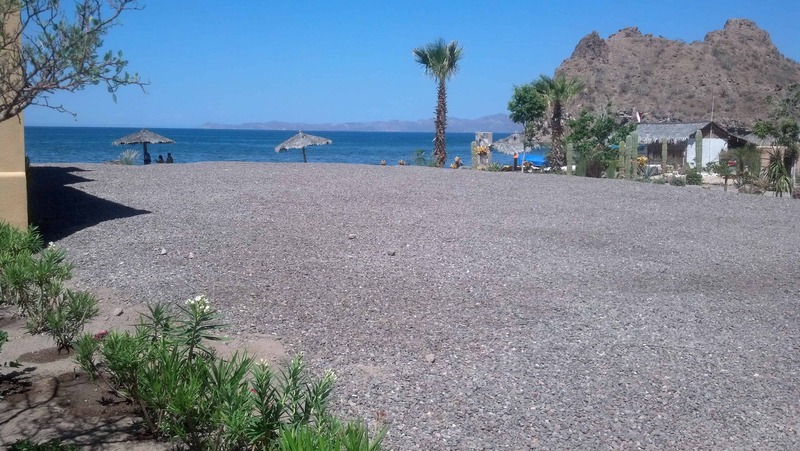 Visit our Mulege vacation guide, and plan your beach vacation to Mulege and the area beaches. Bahia de Los Angeles, also called Bay of LA, is not quite what you would call a town, it’s more like a very large fish camp with a lot of amenities. It doesn’t have a full blown supermarket, but there are several small grocery stores that provide enough inventory so that you are able to stock up on the basic necessities. 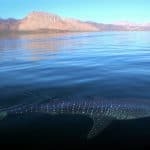 The attraction for visitors, along with the extremely tranquil setting, is the proximity to the Sea of Cortez and all the activities that come with the peaceful, glassy waters. The incredible fishing is one of the major reasons most people travel here, it is, after all, not a casual two or three hour drive for most tourists. Kayaking is also very popular in the area and quite a few of the motels and RV parks rent them out at reasonable rates. Fishing, diving, snorkeling or sightseeing trips, are easy to arrange. If possible, try to deal directly with the boat owner for the best possible rate. There are sixteen islands in and around the bay so the snorkeling, diving and just plain exploring are usually every bit as good as the fishing. There are sea lion colonies on some of the islands. It is also a great place to take your jet skis with lots of “usually” glassy water to play on. If you bring your own boat, there are a few places to launch. However, be warned…winds in the Bahia de Los Angeles area can whip up quickly and can be rather strong. Northerly winds, as well as a strong Westerly, can suddenly make the bay “a not so pretty” place. Caution is the key here. Check with the local fishermen at Guillermo’s, Casa Diaz, Dagget’s or any of the launching ramps. You may not want to leave your boat in the water overnight. Visit our Bahia de los Angeles vacation guide, and plan your beach vacation to Bahia de los Angeles and the area beaches. 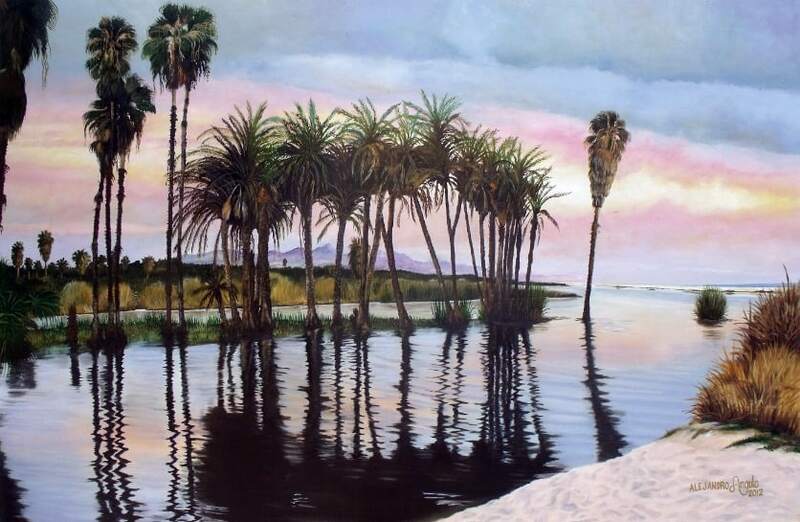 Punta La Gringa is the north end of the beautiful Bahía de los Angeles (Bay of the Angels). It is a popular camping, fishing, and shell viewing area. Starfish and other seashell varieties may be seen and photographed, but not removed, per national law. Both sand and gravel stone beaches found at La Gringa, and the sheltered bay makes it an ideal launch site for fishing boats and an anchorage. On the gulf shore to the east and outside the bay is a view to Smith Island (Isla Coronado), famous for the volcano on the north end. Visit our Bahia de los Angeles vacation guide, and plan your beach vacation to Bahia de los Angeles and the area beaches. 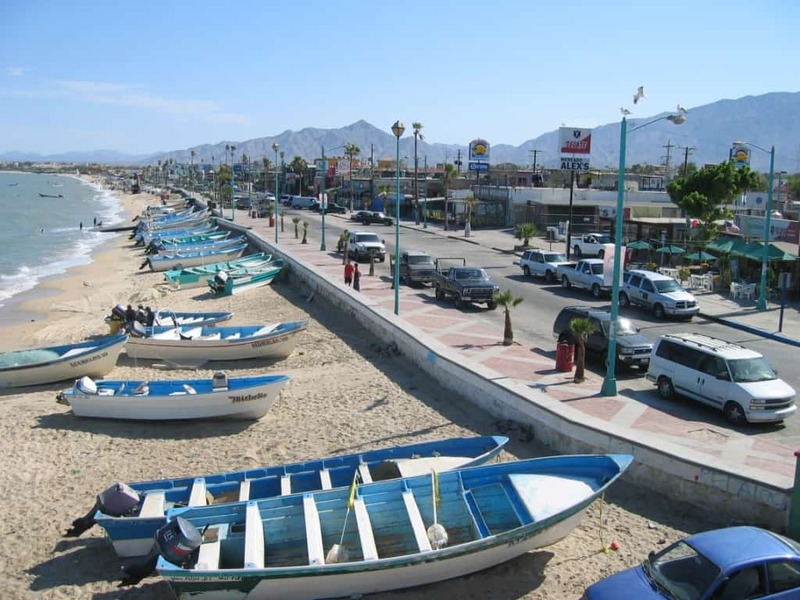 Where the desert meets the sea in eastern Baja California, you will find boisterous San Felipe. 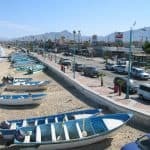 Situated between the dramatic Colorado Desert and waters of the Gulf of California (also known as the Sea of Cortez), this once sleepy fishing village has emerged as one of Mexico’s fastest-growing resort towns. 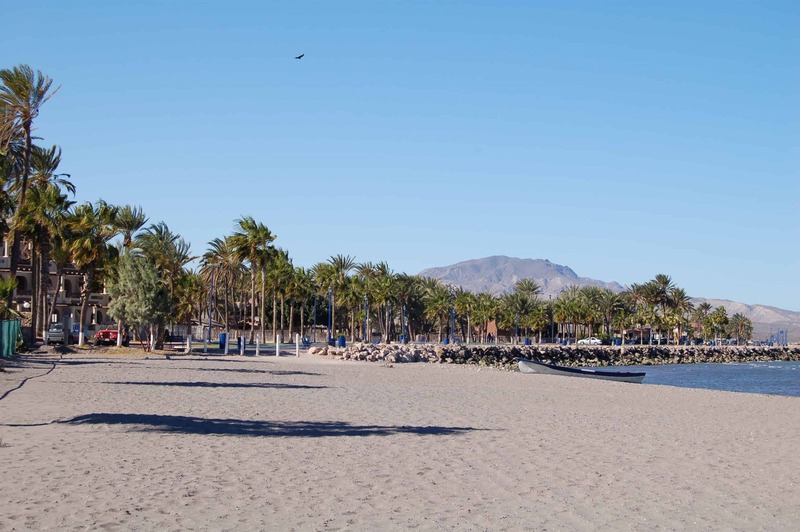 As you would expect from a water-side location, a beach is never far away from San Felipe. For walking, jogging, strolling and swimming, San Felipe offers a wonderful selection of beautifully quiet and unspoiled beaches to enjoy. Whether you are looking for solitude and communing with nature, or seek the best spot for finding colorful seashells or harvesting clams, San Felipe has the beach for you. Visit our San Felipe vacation guide, and plan your beach vacation to San Felipe and area the area beaches. The northern beaches are known for their striking natural beauty, quiet and undisturbed coastlines, and relaxed atmosphere. Most of the northern beaches are considered rural and access to them is generally via dirt roads that veer off the main paved roads. Camping along the northern beaches is relaxing, peaceful and definitely rugged! However if you are looking for miles and miles of open beach, with few if any camping neighbors, head north and dozens of quaint alcoves and secluded, romantic spots await you. While most people enjoy the beach while camping, day trips to these shoreline retreats offer visitors a chance to sink their toes into soft, glistening sand, stroll the coast for unique and exotic shells, and watch the sunset across the calm waters of the Sea of Cortez. One northern beach that is perfect for exploring the sea without driving too far is Playa Bonita. Its name means Pretty Beach, and once you leave the roadway and head toward the water, you will easily understand why. A collection of many small, charming beach niches, complete with driftwood, rocky outcroppings and native vegetation, Playa Bonita is less traveled and more relaxed than beaches located in town. Found just north of Punta San Felipe, Playa Bonita is close by yet will feel like a different world as you enjoy is peaceful shores and quiet solitude. Visit our San Felipe vacation guide, and plan your beach vacation to San Felipe and area the area beaches. The beaches in San Felipe and beyond to the south are fabulous places from which to explore the coastline and venture into the beautiful waters of the Sea of Cortez. Playa San Felipe is considered the main beach in the town of San Felipe, Playa San Felipe is the recreational hub of the community. From great restaurants to entertainment to venturing in to the water itself, Playa San Felipe is the place to enjoy the beach without ever leaving town. Visit our San Felipe vacation guide, and plan your beach vacation to San Felipe and area the area beaches. Todos Santos is one of the most appealing towns in all of Baja, maybe even all of Mexico. A quirky mix of locals, fishers, surfers and New Age spiritualists, the town of ‘All Saints’ has thus far escaped the rampant tourism of the other Cape towns, but still has all kinds of things to see and do. 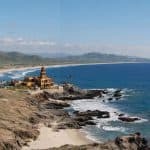 Visit our Todos Santos Vacation guide, and plan your beach vacation to Todos Santos and the area beaches. 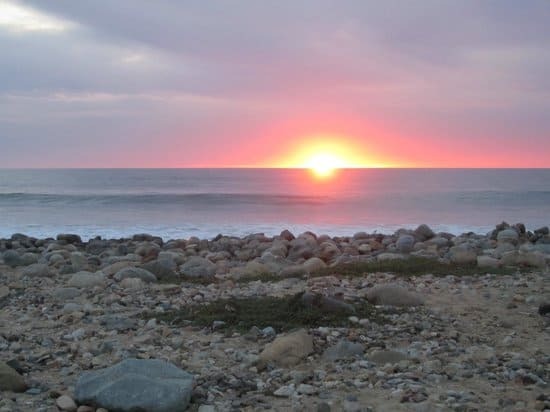 This is one of the best family recreation areas in all of Baja, with a wide, shallow swimming beach and a popular surf break along a rocky point at the north end. The beach here is ideal for swimming, gently sloped and hip deep well out into the water. There are many activities to choose from on the beach from Surf board rentals & lessons to horseback riding to beach massages. Simply put, fun for everyone in the family. 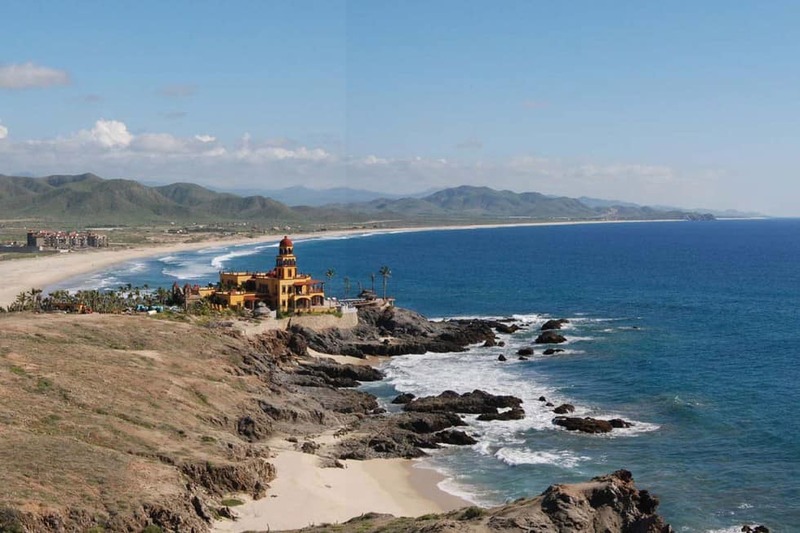 Visit our Todos Santos Vacation guide, and plan your beach vacation to Todos Santos and the area beaches. Located south of town, west at Km. 59, then 1.5 miles to the beach. Good palm beach for day camping, fishing, surfing and boogie boarding on a reef break. A large trailer park provides a restaurant and bathrooms. 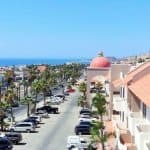 Day use fee is $3.00 Visit our Todos Santos Vacation guide, and plan your beach vacation to Todos Santos and the area beaches. 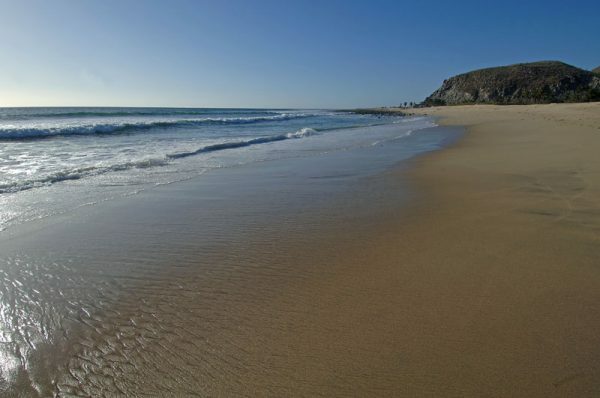 Nestled between Las Palmas beach to the north and Cerritos beach to the south and a 5 minute walk from Pueblo Pescadero is Playa Pescadero. This tranquil and expansive stretch of beach is perfect for beachcombing, sunset walks, shore cast fishing, and swimming (with caution). To the north end of Pescadero beach is San Pedrito, a surf point that draws surfers from around the world when “surf’s up”. Very much a quite beach community, Playa Pescadero and its surroundings offer a relaxed and “chilled” environment enhanced by unpopulated beaches and farm to table restaurants. 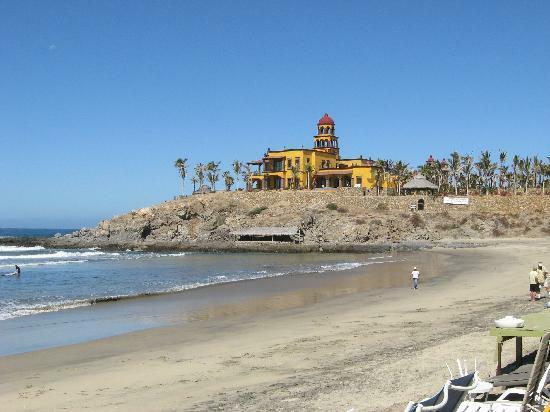 Visit our Todos Santos Vacation guide, and plan your beach vacation to Todos Santos and the area beaches. Playa Las Palmas is a smaller quarter mile expansive beach bordered by a reed lagoon and protected by rock promontories on both sides. Groves of palm trees frame this gorgeous small beach located between Pescadero and Todos Santos. There is a parking area about 200 yards from the beach. This is definitely one of the most picturesque sites on the Pacific Ocean side and well worth the drive.. This is an excellent area for hiking, swimming (with caution) and body surfing. Access to this beach is across private property but is allowed for day use only. Camping and fires are not permitted. Generally very few people use this isolated section of Pacific beach. Visit our Todos Santos Vacation guide, and plan your beach vacation to Todos Santos and the area beaches. San José’s downtown is lovely, with adobe houses and jacaranda trees. Entrepreneurs have converted old homes into stylish restaurants and shops, and a very nice main plaza. A 9-hole golf course and residential community are south of Centro (town center); farther south the ever-expanding Zona Hotelera (hotel zone) faces a long beach on the Sea of Cortez. Despite the development—and weekday traffic jams—San José is peaceful. If you want exciting nightlife and rowdy beaches, stay in Cabo San Lucas. Visit our San Jose Del Cabo Vacations guide, and plan your beach vacation to Todos Santos and the area beaches. Located in a beautiful ocean cove known as Playa Acapulquito, (Old Man’s Beach), a surfer’s paradise and host to many surfing competitions, the privileged beach offers long rides and is ideal for long-boarders. Beginners can start with surf lessons before meeting up with the experts heading out to catch the waves, which are bigger in summer than in winter. The area is also great for snorkeling and swimming. You can rent surf boards and stand-up paddle boards at any of the surf shops in the area and set a time for lessons. If you don’t surf, and don’t want to learn, it is a great place to observe those who only have one thing in mind: Catch the Next Big One. Visit our San Jose Del Cabo Vacations guide, and plan your beach vacation to Todos Santos and the area beaches. 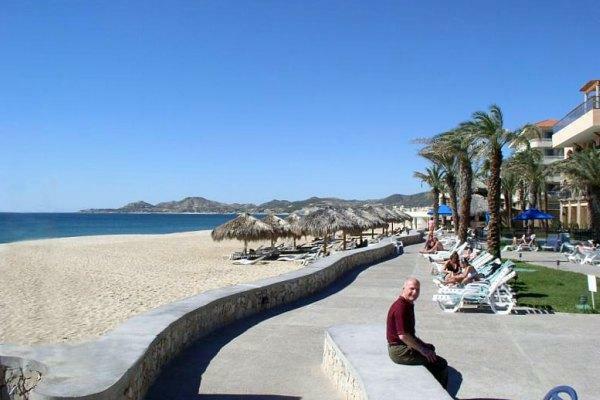 Located at the end of Hotel Row and fronting the San Jose del Cabo Estuary, this beach offers great bird watching. The freshwater lagoon has over 350 species of wildlife and lush vegetation. Fed by underground aquifers, the river and lagoon are one of the few oases in the otherwise nearly desolate lower Baja peninsula. Swimming is not an option due to the strong undertow and waves. Kayaking in the lagoon is an option, depending on the water level. Visit our San Jose Del Cabo Vacations guide, and plan your beach vacation to Todos Santos and the area beaches. This beach offers great scenery, but is not recommended for swimming. Surf fishing is popular as are beach walks, especially at night, beach horseback riding, and beach volleyball. 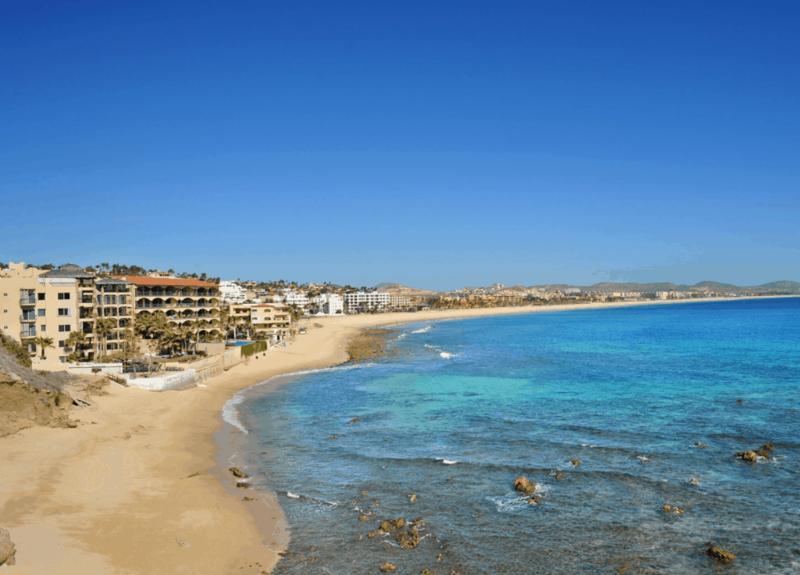 This stretch of beach is in front of the hotels lining the oceanfront of San Jose del Cabo starting at the Costa Azul Beach and continuing to the Estuary. Visit our San Jose Del Cabo Vacations guide, and plan your beach vacation to Todos Santos and the area beaches. La Playita is a great location for swimming, fishing from the shore, watching the fishermen with their catch, and family gatherings with children. 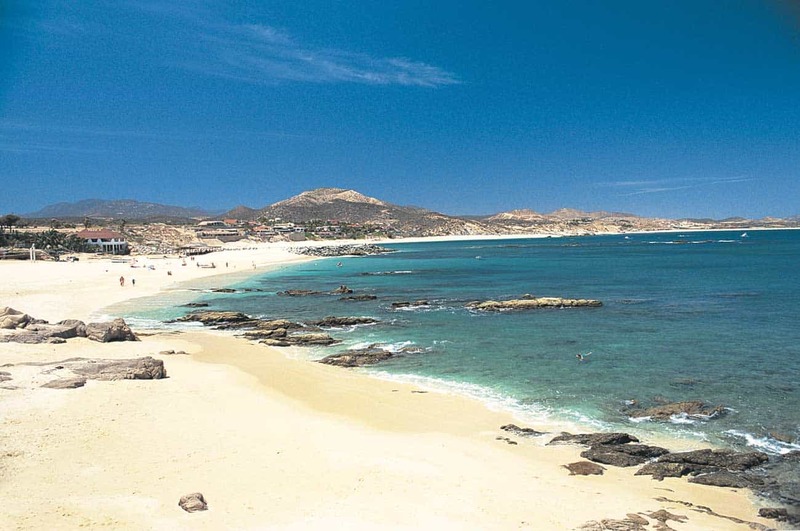 It is a long stretch of sandy beach with a roped-off area just outside the entrance to the Puerto Los Cabos marina. 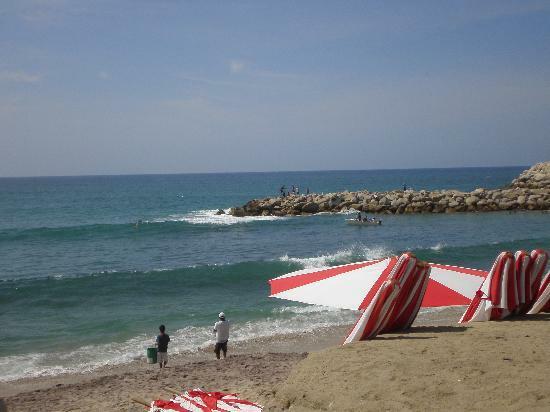 The natural open beach is perfect for swimming, skim-boarding, riding the waves or just enjoying the peaceful beach. There are well-maintained restrooms, covered palapas and fishing charters available. No food services are available on the beach, but there are several casual eateries in close proximity to the area. Follow the signs to La Playita/Puerto Los Cabos from Boulevard Mijares in downtown San Jose del Cabo. Visit our San Jose Del Cabo Vacations guide, and plan your beach vacation to Todos Santos and the area beaches. Those seeking calm waters, a family friendly area and a mile-long stretch of beach are welcome to Palmilla where you will be surrounded by oceanfront luxury homes, the world-famous One & Only Hotel resort and the world renowned Jack Nicklaus Ocean Nine golf course. On weekends, arrive early if you want a palapa or bring your own umbrella for shade. No services are available for food or sanitary facilities at present, but you can launch a kayak here, or rent a fishing panga or cruiser. Pamilla Beach is a Blue Flag Beach. Visit our San Jose Del Cabo Vacations guide, and plan your beach vacation to Todos Santos and the area beaches. This is a long video, but very informative if you are heading to La Paz. I love traveling and beach destinations are my favorite. I’m so glad I found your site. So much information on beach getaways. 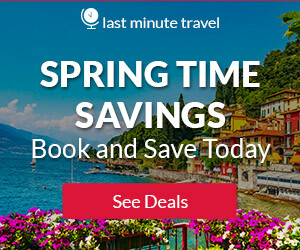 Guess I have to plan a long vacation! When I think of Mexico beaches are never top of my list. But reading your blog and looking at all the beautiful pictures i wonder why they are not more famous! So gorgeous this makes me want to pack my sunblock now. And so many beaches this is a beach bum heaven! Oh can I check if there’s like a best month to go? What are the rainy months to avoid? August thru October are going to be the rainiest months. But, I have gone during this time and have had no rain. Thanks for looking! Wow, just looking at those beautiful beaches makes me want to pack my suitcase and take the next flight to Mexico!!! I have two young twin boys, and my husband and I are planning a family vacation. We are thinking Mexico and after reading your post El Tesoro beach seems just a place we would like to go. I wish I could go there some day. Very informative and great info. You always show the best beaches on your site. My parents and kids went to Baja last summer. Due to a mishap in scheduling, I missed the trip. Reading your article and looking at the pictures, I’m kicking myself again for missing the trip. Doh! Maybe I’ll get a chance to go another year. Yes, Renee you have to ! Awesome in the Baja! Loved everything about your site. and cant wait till I learn more to have an amazing completed site as well. My wife and I are world travelers and thoroughly enjoy going to new places and experiencing new things. We have recently discussed our mutual desire to visit Baja California. We googled it and came across your site about Sea of Cortez Beaches. We will definitely be visiting this area on our trip there. Thank you so very much for the insightful information in your article!!! Oh these beaches look stunning! I prefer quiet beaches where you can go for lovely long romantic strolls, and I also love collecting shells. For swimming I like a calm shore, especially with my kids that can’t swim yet. Oh to be back on an island…specially in the Caribbean. I lived in San Juan Puerto Rico. I literally lived on the beach we would be out there so much.. I have so much more traveling to do.. this makes me want to start booking flights immediately. Loved the visuals and the article is super. Nice read and good job. Wow, I have never been a beach person but the descriptions, pictures and all the info. I’ve just added the peninsula to my list of places I want to visit. La Pas sounds amazing and no the video wasn’t too long. I kept wishing I was there. I love learning about other beaches in the world. I look for different locations I would love to visit and add to my bucket list of beaches in the world. This website and post will help me in searching for my next adventure. Wow! It’s really a sea of beaches… so many and each has its own uniqueness. Thank you for sharing. With your description, I can choose the one that best suits my needs. I enjoy the video, it’s informative. Thank you Cheng. Yes, I agree that it is a great video. I’ve spent so little time in La Paz. I have to go back and spend more time there! Wow! That’s a hell of a list! I’ve never been to Mexico but always wanted to. Seems like the entire peninsula is a beach. Thanks for giving us great info on each location so we can pick and choose what’s best for us. The images look so wonderful and relaxing…. ahhh…I need a vacation! This location sounds divine! I am in a desperate need of a great vacation! I love your website!